Responding to mounting pressure from local communities impacted by its pollution, investors, customers, and the environmental community, Tyson Foods has announced a commitment to improve farming practices on two million acres of grain by 2020. This commitment will include efforts to reduce greenhouse gas emissions and agricultural runoff pollution from grains grown for animal feed, although the specifics and implementation plan have not yet been made public. Tyson’s commitment would cover about half of its U.S. feed supply chain. 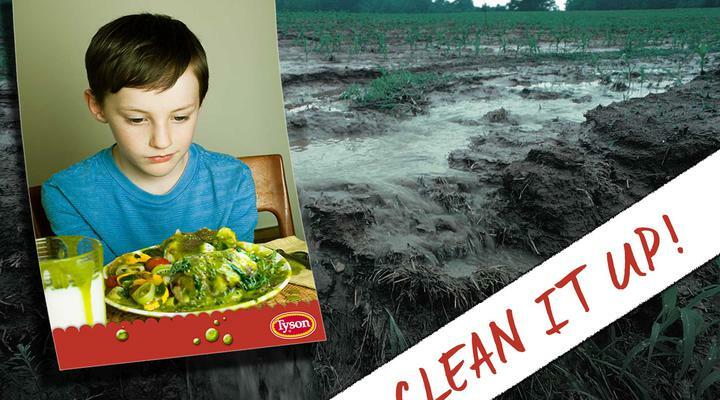 As America’s largest meat company, Tyson Foods has the power to make meat less polluting. The vast quantities of feed used to raise animals make up the bulk of meat’s environmental impact. You have publicly committed to placing sustainability at the center of Tyson’s future plans, and raising animals on pollution-free feed that prevents fertilizer pollution washing off fields needs to be a cornerstone of that strategy. With water pollution worsening and demand for meat rising, the stakes could not be greater. Scientists recently announced that so much pollution has run into the Gulf of Mexico this year that it has created one of the largest Dead Zones on record- an area so polluted that marine life must flee or die. One of the biggest reasons for the Dead Zone are giant meat companies like Tyson which are driving water pollution throughout the country. Excess manure and fertilizer pollution from the vast quantities of feed grown for their livestock is polluting local waterways and pouring into the Mississippi River, where it washes downstream into the Gulf of Mexico. In fact, about 170% more tons of pollution is dumped into the Gulf each year from industrial meat and feed than was spilled by BP in 2010. 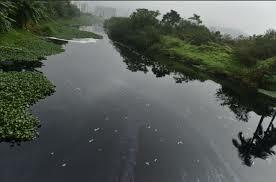 Local communities are stuck with the bill, spending millions to clean up the water so that it is safe enough to drink. As America’s largest meat company, Tyson has the power to make meat less polluting. The time is right: Tyson's new CEO Tom Hayes has said he wants to “place sustainability at the center of the company’s future plans.” As the owner of Jimmy Dean, Hillshire Farm, Sara Lee, Ball Park, and other brands, we need to make sure this marketing is backed with real action. Tyson could dramatically reduce water pollution by taking simple steps to prevent manure and fertilizer from washing off their fields. Making sure all meat is raised using pollution-free feed is a clear way for Tyson to live up to its word and put the company on a more sustainable path.